BURBANK, CA (February 2006) ? 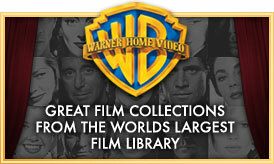 Consumers will have a chance to revisit some of television?s most unforgettable westerns, both dramatic and comedic when Warner Home Video (WHV) releases two legendary series, Cheyenne: The Complete First Season and F-Troop: The Complete First Season available on DVD for the first time ever on June 6, 2006. Just in time for Father?s Day, each DVD set will retail for $39.98 SRP. The order due date has been set for May 2, 2006. The program that defined the television western, Cheyenne originally aired on ABC from 1955 to 1963. The series follows the adventures of Cheyenne Bodie (Clint Walker), who after the Civil War, roamed the west fighting ruthless outlaws and deadly gunslingers. A former army scout, he drifted from job to job ? one day a cowboy, one day a lawman ? but always remained a larger-than-life hero. The five-disc collector?s set includes all 15 episodes of the first season along with a newly produced featurette, The Lonely Gunfighter: The Legacy of Cheyenne. 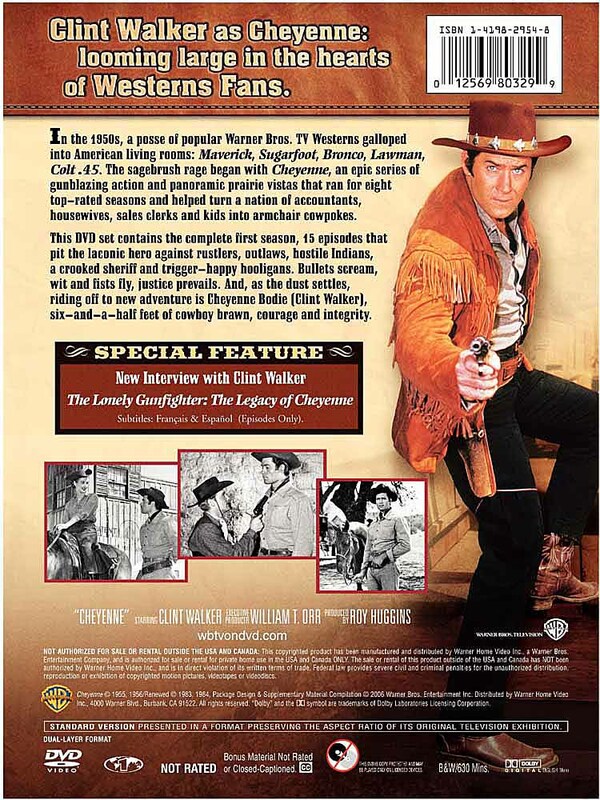 This bonus feature, narrated by Clint Walker, details the background of the series and is supplemented by interviews with classic western television stars. While Cheyenne set the standard for many traditional, dramatic television cowboy series, F-Troop, on the other hand, was a slapstick comedy that was the first to spoof the classic TV western. The show, which originally aired on ABC from 1965 to 1967, follows a crew of hilarious cavalrymen at Fort Courage. After accidentally leading a cavalry charge into victory, Private Wilton Parmenter (Ken Berry) becomes a hero and is given command of the fort. He and his group of men bumble through fighting their enemies and working with the local Hekawi Indians to sell items to tourists. 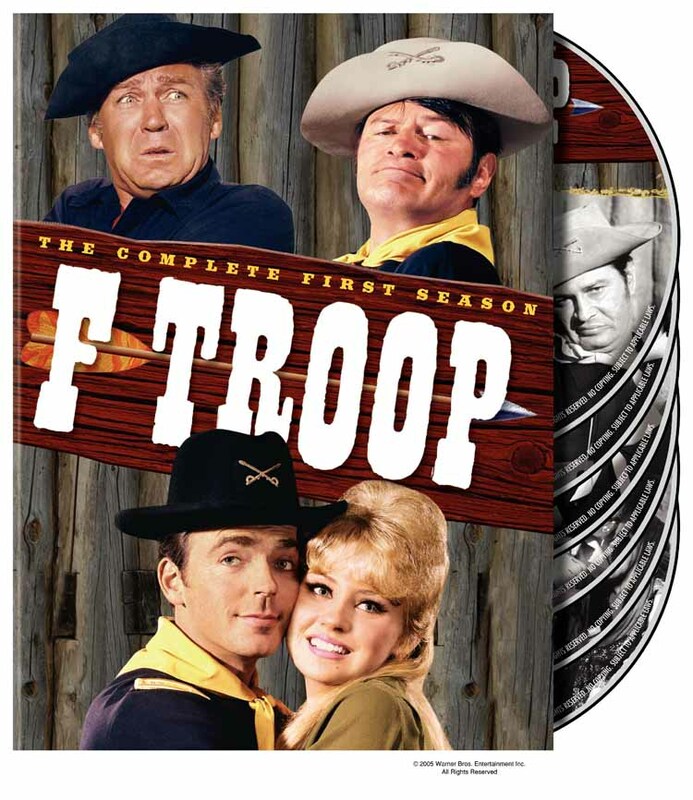 In addition to Ken Berry, F-Troop: The Complete First Season also stars Forrest Tucker, Larry Storch, Melody Patterson, Frank DeKova, Don Diamond, James Hampton, Bob Steele, Joe Brooks, John Mitchum, and Edward Everett Horton. The six-disc collector?s set includes all 34 episodes of the first season. ?It?s exciting when we get a chance to reach fifty years back into our television library and find gems like Cheyenne and F-Troop to offer to the public,? commented Rosemary Markson, WHV Executive Director, TV Marketing. ?Cheyenne is a wonderful example of some of the great television westerns from a bygone era, while F-Troop, though a hilarious spoof of the old west, also celebrates the spirit of the genre. We are delighted to introduce these two classics to a whole new generation and, at the same time, bring them back for viewers who remember watching the original broadcasts on TV. Whether they?re taking in the heroics of Cheyenne or laughing at the antics of Wilton Parmenter, consumers will enjoy both DVD collections.? Both Cheyenne: The Complete First Season and F-Troop: The Complete First Season will be available on DVD from WHV on June 6, 2006. Each DVD set will retail for $39.98 SRP. Both releases will be supported by a national television and online media campaign. Order due date for both DVD sets is May 2, 2006. 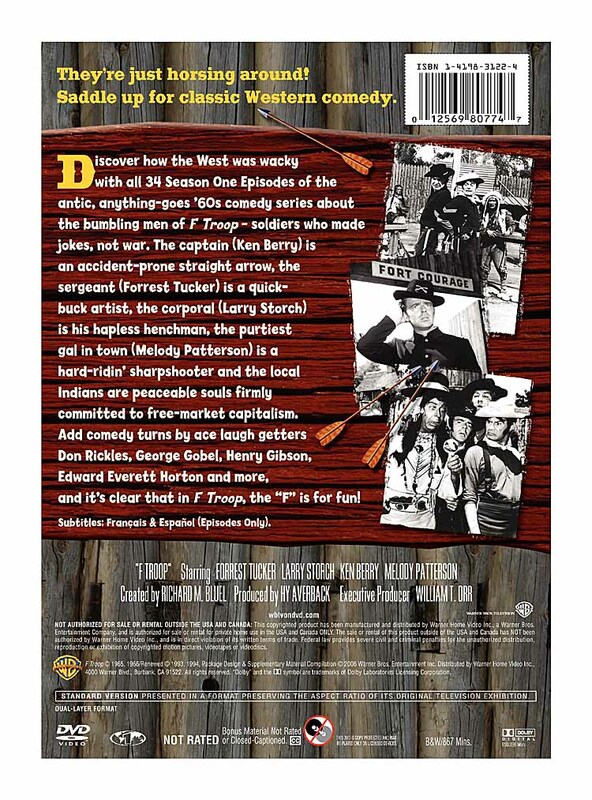 The DVD releases of both Cheyenne: The Complete First Season and F-Troop: The Complete First Season will be supported by a national television and online media campaign. :15 TV spots advertising both titles together will run on cable networks with targeted online campaigns for each individual title.